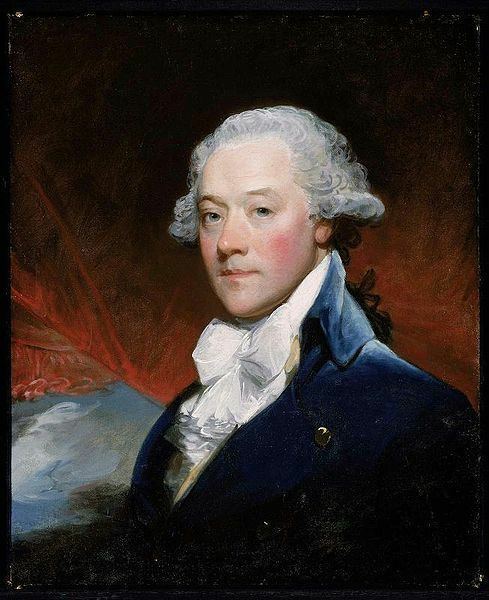 Known for Prime financier of the Continental Army during the American Revolutionary War. Haym Salomon (also Solomon; April 7, 1740 – January 6, 1785) was a Polish-born American Jewish businessman and political financial broker who immigrated to New York City from Poland during the period of the American Revolution. He helped convert the French loans into ready cash by selling bills of exchange for Robert Morris, the Superintendent of Finance. In this way he aided the Continental Army and was possibly, along with Morris, the prime financier of the American side during the American Revolutionary War against Great Britain. Haym Salomon (anglicized from Chaim Salomon) was born in Leszno (Lissa), Poland in 1740 to a Sephardic Jewish family descended from Spanish and Portuguese Jews who migrated to the Jewish communities of Poland as a result of Ferdinand and Isabella's expulsion of the Jews in 1492 and remained there for many generations. Although most Jews in Central and Eastern Europe spoke Yiddish (Judeo-German), some have claimed that because Salomon left Poland while still young, he could not read and write Yiddish. In his youth, he studied Hebrew. During his travels in western Europe, he acquired a knowledge of finance and fluency in several other languages, such as German. He returned to Poland in 1770 but left for England two years later in the wake of the Polish partition. In 1775, he immigrated to New York City, where he established himself as a financial broker for merchants engaged in overseas trade. 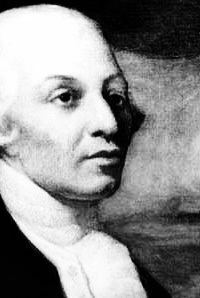 Sympathizing with the Patriot cause, Salomon joined the New York branch of the Sons of Liberty. In September 1776, he was arrested as a spy. The British pardoned him, but only after requiring him to spend 18 months on a British boat as an interpreter for Hessian soldiers – German troops employed by the British. Salomon used his position to help prisoners of the British escape and encouraged the Hessians to desert the war effort. In 1778 Salomon was arrested again and sentenced to death. Again, he managed to escape, making his way with his family to the rebel capital in Philadelphia. Once resettled, Salomon resumed his activities as a broker. He became the agent to the French consul as well as the paymaster for the French forces in North America. In 1781, he began working extensively with Robert Morris, the newly appointed Superintendent for Finance for the Thirteen Colonies. From the period of 1781–84, records show Salomon's fundraising and personal lending helped provide over $650,000 (approximately $16,870,212.74 in 2013 dollars ) in financing to George Washington in his war effort. His most meaningful financial contribution, however, came immediately prior to the final revolutionary war battle at Yorktown. In August 1781, the Continental Army had trapped Lieutenant General Charles Cornwallis in the Virginian coastal town of Yorktown. George Washington and the main army and Count de Rochambeau with his French army decided to march from the Hudson Highlands to Yorktown and deliver the final blow. But Washington's war chest was completely empty, as was that of Congress. Without food, uniforms and supplies, Washington's troops were close to mutiny. Washington determined that he needed at least $20,000 to finance the campaign. When Morris told him there were no funds and no credit available, Washington gave him a simple but eloquent order: "Send for Haym Salomon". Salomon raised $20,000, through the sale of bills of exchange. With that, and the $1,400,000 personally loaned by Robert Morris, Washington conducted the Yorktown campaign, which proved to be the final battle of the Revolution. Salomon brokered the sale of a majority of the war aid from France and the Dutch Republic, selling bills of exchange to American merchants. 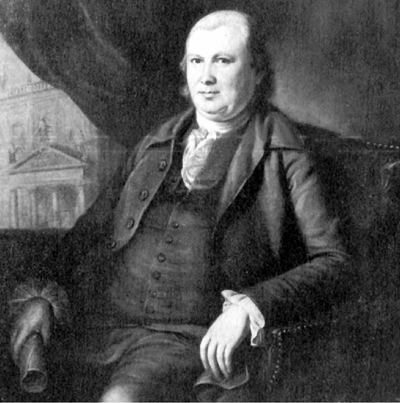 Salomon also personally supported various members of the Continental Congress during their stay in Philadelphia, including James Madison and James Wilson. He requested below-market interest rates, and he never asked for repayment. Salomon is believed to have granted outright bequests to men that he thought were unsung heroes of the revolution who had become impoverished during the war. One example is Bodo Otto, a senior surgeon in the continental army. Otto joined the army at the age of 65 and served for the entire war. Among other things, he established the hospital at Valley Forge, where he often used his own funds to purchase medical supplies. Due to Salomon's bequest, Otto was able to rebuild his medical practice in Reading, Pennsylvania at war's end. The Treaty of Paris, signed on September 3, 1783, ended the Revolutionary War but not the financial problems of the newly established nation. America's war debt to France was never properly repaid, which was part of the cascade of events leading to the French Revolution. Salomon was involved in Jewish community affairs, being a member of Congregation Mikveh Israel in Philadelphia, and in 1782 made the largest individual contribution towards the construction of its main building. In 1783, Salomon was among the prominent Jews involved in the successful effort to have the Pennsylvania Council of Censors remove the religious test oath required for office-holding under the State Constitution. These test laws were originally written to disenfranchise the Quaker majority (Quakers objected to taking oaths at all), but many were caught up in this anti-democratic ploy. It was Salomon's old friend Robert Morris, who actually introduced legislation to end the test laws in Pennsylvania. In 1784, Salomon answered anti-Semitic slander in the press by stating: "I am a Jew; it is my own nation; I do not despair that we shall obtain every other privilege that we aspire to enjoy along with our fellow-citizens." The financier died suddenly and in poverty on January 8, 1785, in Philadelphia, Pennsylvania, after contracting tuberculosis in prison. Due to the failure of governments and private lenders to repay the debt incurred by the war, his family was left penniless at his death at age 44. The hundreds of thousands of dollars of Continental debt Salomon bought with his own fortune were worth only about 10 cents on the dollar when he died. His obituary in the Independent Gazetteer read, "Thursday, last, expired, after a lingering illness, Mr. Haym Salomon, an eminent broker of this city, was a native of Poland, and of the Hebrew nation. He was remarkable for his skill and integrity in his profession, and for his generous and humane deportment. His remains were yesterday deposited in the burial ground of the synagogue of this city." The grave-site of Haym Salomon, Mikveh Israel Cemetery is located in the 800-block of Spruce Street in Philadelphia. Though unmarked, there are two plaque memorials. The east wall has a marble tablet that was installed by his great-grandson, William Salomon, and a granite memorial is set inside the cemetery gate. In 1980, the Haym Salomon Lodge #663 of the fraternal organization B'rith Sholom sponsored a memorial in the Mikveh Israel Cemetery on the north side of Spruce Street between 8th and 9th Streets in Philadelphia. A blue ribbon panel and committee, including Robert S. Whitman, Sidney Bruskin and Marvin Abrams, all lodge past presidents; and Philadelphia, PA residents, arranged for the renovation of the walls and walkways of the cemetery. They then arranged for and oversaw the installation of a large, engraved memorial marker of Barre Granite just inside the cemetery gates, inscribed "An American Patriot". A memorial bronze marker with an American flag was installed by Robert S. Whitman, marking the dedicated space for the American patriot. There is a legend that during the design process of the Great Seal, Washington asked what compensation Salomon wanted in return for his financial contributions to the American Revolutionary War. He replied that "he wanted nothing for himself but that he wanted something for his people". While there is no evidence, there is a theory that the 13 stars representing the colonies on the seal were arranged in the shape of the Star of David in commemoration of Solomon's contributions. This appears to have little basis in fact, however, although it is oft-repeated. In 1893, a bill was presented before the 52nd United States Congress ordering a gold medal be struck in recognition of Salomon's contributions to the United States. In 1939, Warner Brothers released Sons of Liberty, a short film starring Claude Rains as Salomon. In 1941, the writer Howard Fast wrote a book Haym Salomon, Son of Liberty. That same year, the Heald Square Monument, a sculpture designed by Lorado Taft was erected at Wacker Drive and Wabash Avenue in downtown Chicago. Taft began the work but died in 1936. It was completed by his associate, Leonard Crunelle. The monument depicts George Washington flanked by Salomon and Robert Morris and grasping hands with both men. In 1946, a memorial statue was erected to Salomon at Hollenbeck Park in Los Angeles. The statue was rededicated in 2008 at Pan-Pacific Park in the Fairfax District, where it can be found on the corner of Gardner and Third Street. 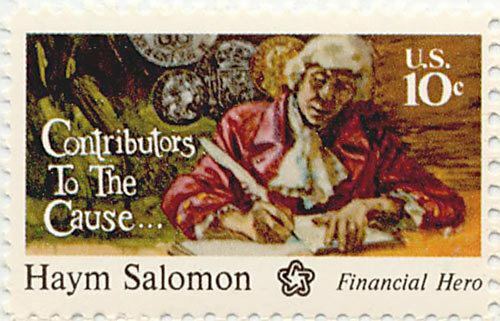 In 1975, the United States Postal Service issued a commemorative stamp honoring Haym Salomon for his contributions to the cause of the American Revolution. This stamp, like others in the "Contributors to the Cause" series, was printed on the front and the back. On the glue side of the stamp, the following words were printed in pale green ink: "Financial Hero – Businessman and broker Haym Salomon was responsible for raising most of the money needed to finance the American Revolution and later to save the new nation from collapse". When Morris was appointed Superintendent of Finance, he turned to Salomon for help in raising the money needed to carry on the war and later to save the emerging nation from financial collapse. Salomon advanced direct loans to the government and also gave generously of his own resources to pay the salaries of government officials and army officers. With frequent entries of "I sent for Haym Salomon", Morris' diary for the years 1781–84 records some 75 transactions between the two men. In 1975, the writer Shirley Milgrim wrote a book Haym Salomon, Liberty's Son, which was illustrated by Richard Fish. In World War II, the United States liberty ship SS Haym Salomon was named in his honor. The Haym Salomon Nursing Home in Brooklyn, New York is named in his honor. The Haym Salomon Center is a news and public policy nonprofit located in Northbrook, Illinois that advocates for liberty and combats anti-Semitism using Haym Salomon as their namesake.